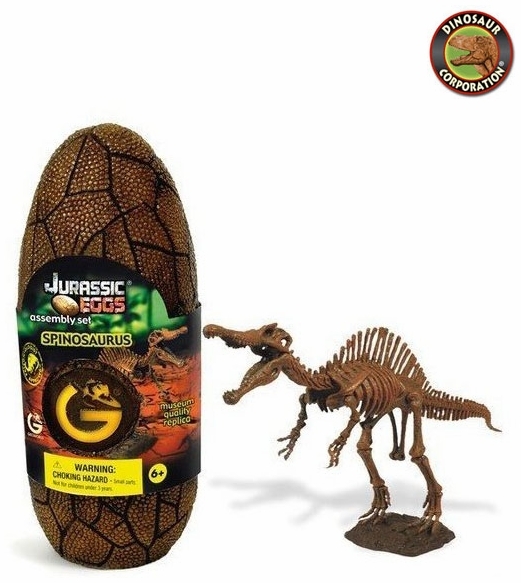 Discover surprise in dinosaur egg! Find hidden 3D realistic Jurassic Spinosaurus dinosaur bones skeleton model accompanied with dinosaur facts. Kids will become paleontologists when they assemble all bones together to recreate Spinosaurus skeleton museum quality model.